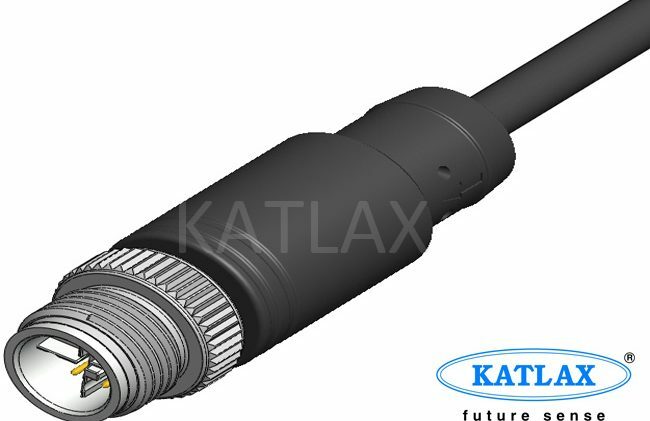 Katlax introduces X-coded M12 connectors suitable for high speed data transmission for Ethernet application and are standardized to IEC 61076-2-109. 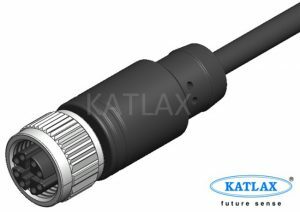 These X-coded connectors meet CAT6 specifications with data transmission up to 10 Gbit/s. These high-speed connectors are designed for industrial communications and networks, video surveillance and other applications requiring a fast reliable Ethernet connection. The M12 X-coded products include male and female receptacles with pre-wired and PCB mount version. This allows more versatility when designing panels and mounting the connector to a board. The product family also has various combinations male to male, male to female and male to RJ45 connecting cables. The M12 X-coded connectors have 8 contacts and conform to IEC/EN 61076-2-109. Each connection supports up to 10 Gbps and 0.5 Amp rated current and 60 V rating. When fully mated. Though small in size, these M12 connectors feature 4 shielded pairs for reliable high speed data transfer and constructed using industrial grade materials for use in harsh environments. he connection is IP67 rated ensuring protection from liquids and foreign objects.